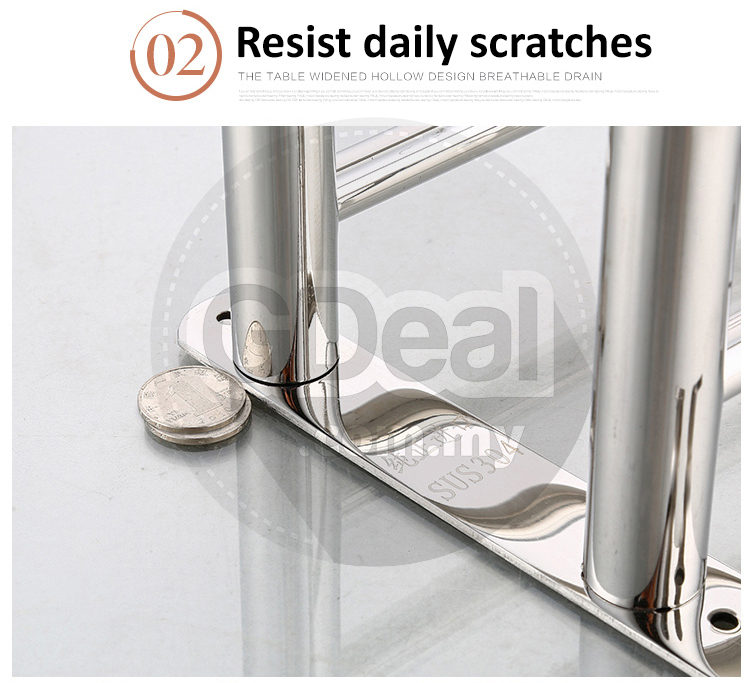 Hand stainless steel finish, build to resist daily scratches, corrosion and tarnishing. 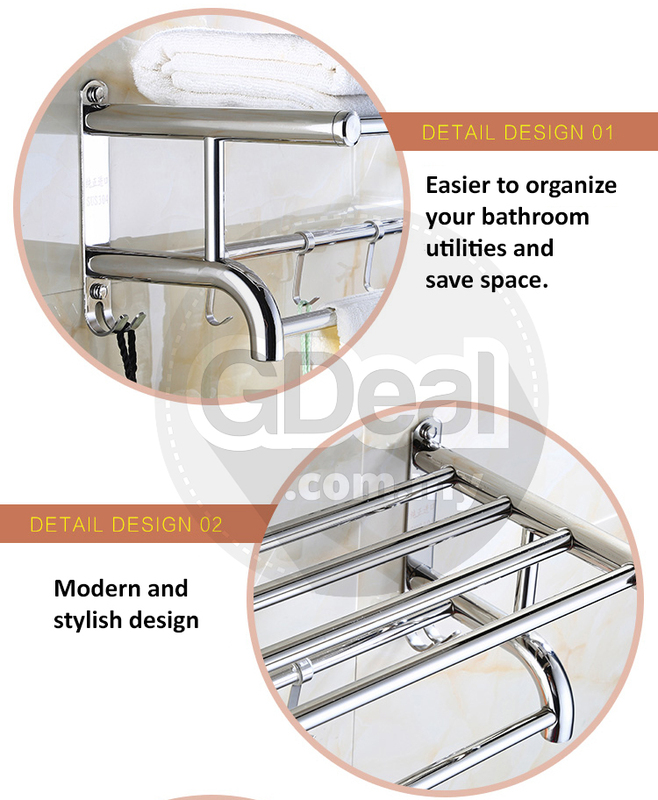 Stainless steel construction, ensuring quality and longevity. Extra strengthened rail, twice thicker than similar products. 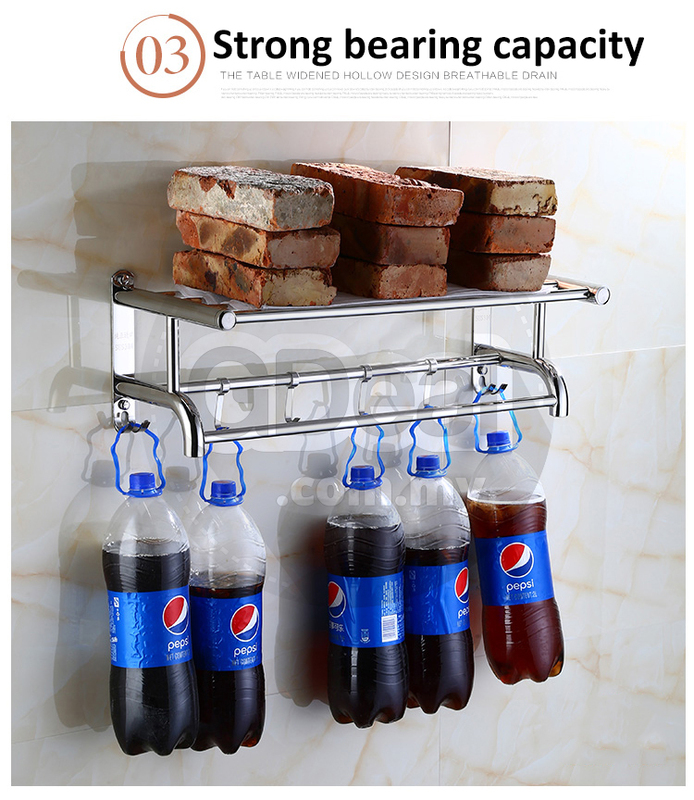 Easier to organize your bathroom utilities and save space. 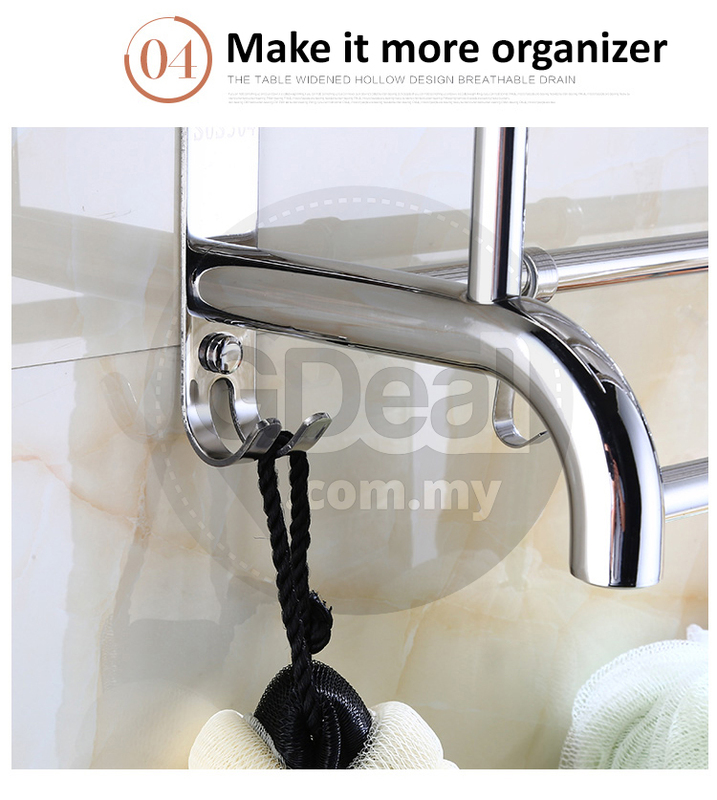 7 hooks for hanging towels and bathroom accessories. Paired with a series of hooks for pajamas or your bathrobe,it instantly organizes your bathroom and reduces clutter. 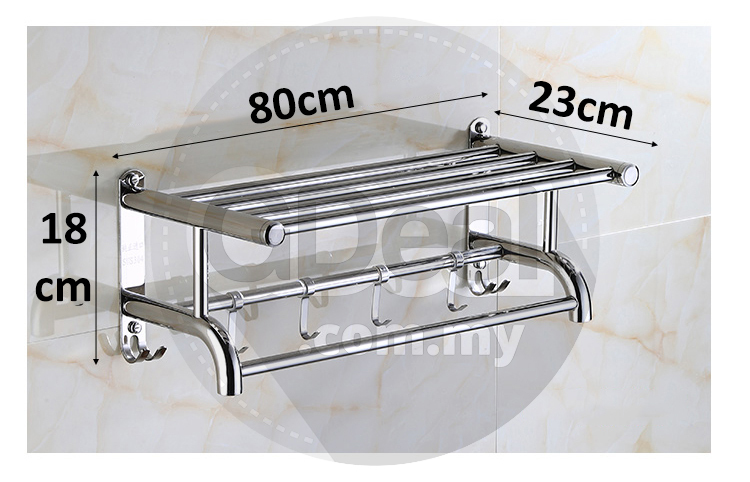 This will definitely make my bathroom less old fashion andmore sleek looking. 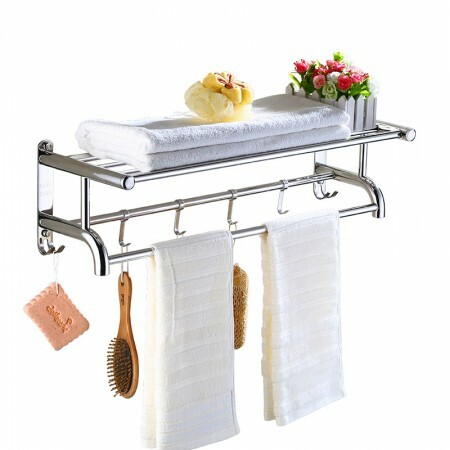 Stay organized and increase your storage space with the Bathroom Wall Shelf. Our convenient storage unit features astrong top shelf that provides plenty ofroom for toiletries, cleaning supplies orspare towels. 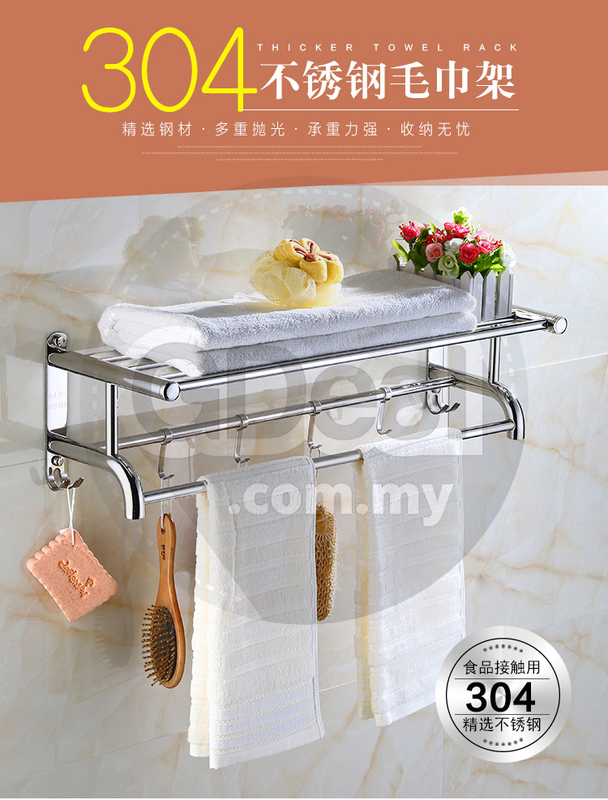 Using this towel rack, maximize your bathroom's storage space and make it more organizer. 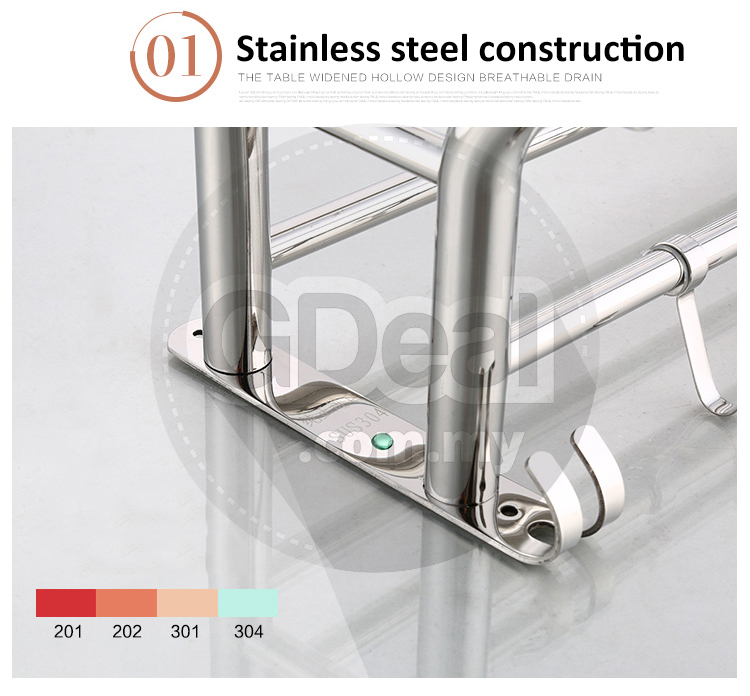 Made of high quality SUS304 Stainless Steel, strong, durable, lightweight, will not get rust and hard to break. 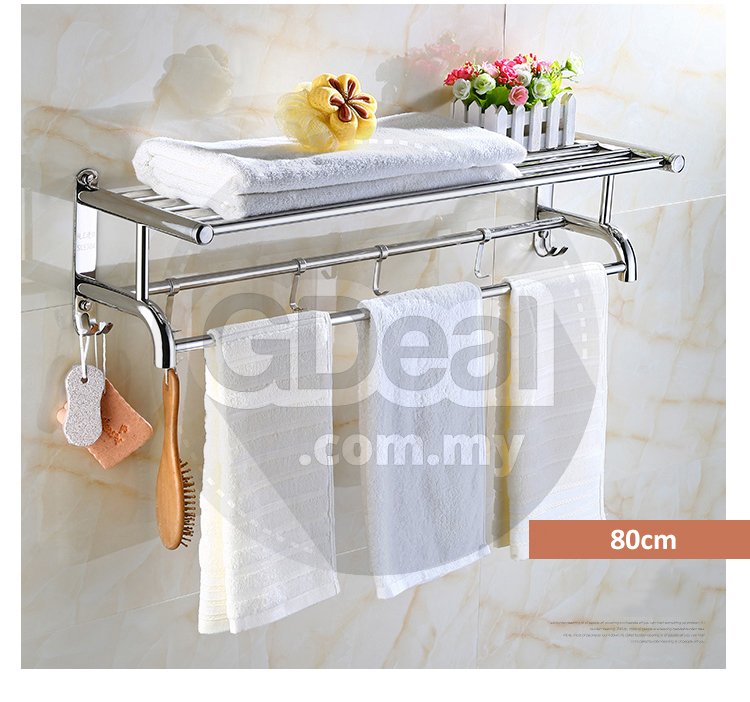 Save room for your bathroom, perfect for rooms where storage space is limited. 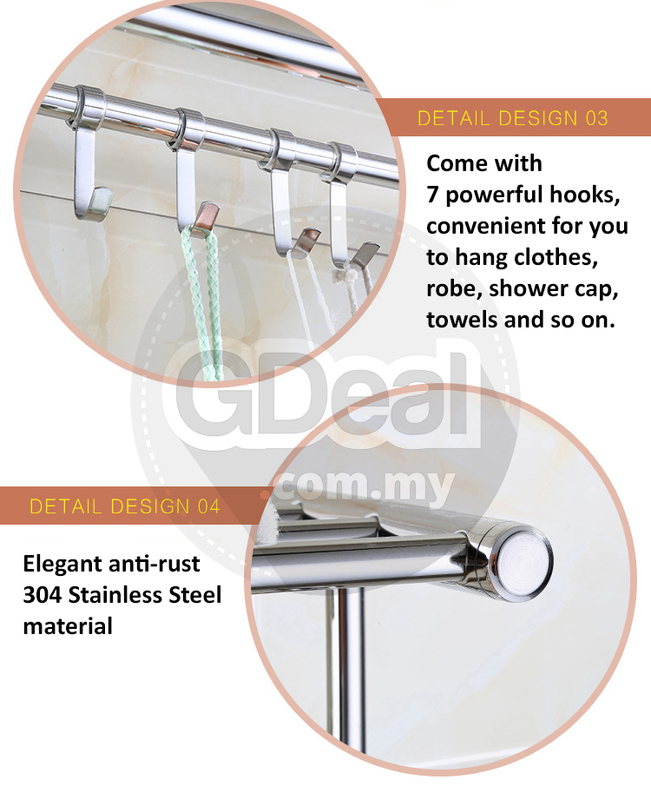 Come with 7 powerful hooks, convenient for you to hang clothes, robe, shower cap, towels and so on.